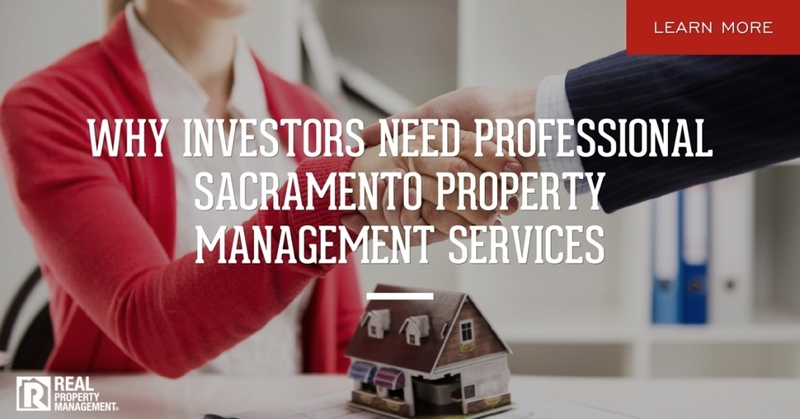 Sacramento property management is a complex job. There is much more to owning a rental property than merely collecting a rent check every month. It’s not as simple as fixing the occasional leaky faucet or dealing with an unruly tenant from time to time. Landlords have a long list of responsibilities that don’t take a break on the nights, weekends, or holidays. Managing a successful rental property takes time, knowledge, and experience. And unfortunately, some homeowners learn this the hard way. The goal of every landlord is to make a profit, right? That is easier said than done though. Do you know all the laws and regulations you must follow as a homeowner to avoid expensive regulatory violations? What if a tenant stops paying rent? How do you prevent extended vacancies that eat away at your bottom line? When a tenant is causing trouble, what can you legally do to fix the problem? The professionals at Real Property Management SAC-METRO can help you through every situation. With more than 30 years of experience, we’ve seen it all. We understand the rental industry and know what is required to make our clients successful. If you want to get the maximum amount of profit from your rental with minimum effort and energy, partnering with Real Property Management SAC-METRO is the solution. In this digital age, utilizing online resources can benefit you as a homeowner. At Real Property Management SAC-METRO, we use technology-driven processes to help you get a better return on your investment property. The online owner portal is also a useful tool during the leasing process. Homeowners receive weekly updates from their leasing agent to notify them of any showings and incoming applications. During the leasing phase, we keep you regularly informed, so you aren’t left wondering if the process is moving along. After-Hours Answering Service – Real Property Management SAC-METRO offers live customer service support. If you have an urgent matter to discuss, we are there for you. Plus, if your tenants have an emergency maintenance problem, we address that as well. The law requires landlords to attend to specific maintenance issues immediately. As our client, you won’t take a single midnight phone call. We take over those middle-of-the-night disasters. Quality and reliable property management has no time limits. Our hotline is there for your peace of mind and to make sure your tenants are cared for promptly. Concise Communication Records– It is crucial to have a paper trail of all your tenant interactions. In today’s digital world, that trail includes more than a literal stack of papers. The team at Real Property Management SAC-METRO documents everything––small or large. One way we accomplish this is by offering tenants the use of a personal online portal, not just homeowners. Tenants can submit maintenance requests and pay rent online through the portal. Any communication via email is kept long-term as well. The last thing we want is for our landlords to be stuck in a he-said, she-said scenario. Furthermore, we want to be able to protect our homeowners if a legal battle ever ensues. A well-documented communications record is invaluable. That’s why we work hard to reduce the financial risk and legal liabilities of our clients. Online Marketing Strategy – When marketing your home to potential tenants, a yard sign is not enough nowadays. Tenants want to be able to find your home listing at the click of a button. Technology is the key to reducing vacancy periods. Our Sacramento property management team uses a variety of sources to get your listing out the masses. We market your home across several popular websites and social media sites. We also create digital tours of your property. Tenants can view your property through a virtual showing at their convenience. Plus, tenants do not have to reach a live person to book a live showing. Rather, they can easily schedule a time by submitting an online request. Extended vacancies negatively impact your cash flow. Online marketing makes you money by reducing vacancy time. At Real Property Management SAC-METRO, we make the most of technology. As the world goes more and more online, we have adjusted our processes to fit the needs of our clients and tenants. We know using our professional services will increase your profitability. Put our proven processes to the test. Call today and learn more about the comprehensive list of services offered at Real Property Management SAC-METRO.